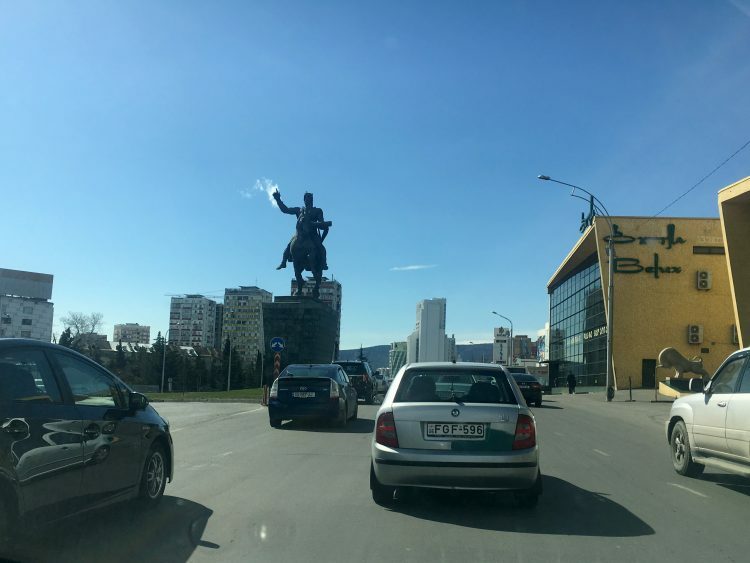 I mentioned a few posts ago when we visited Tbilisi AutoMusem that I don’t particularly like driving. It’s not my least favorite activity ever, but I was very excited when my office moved to telework three days a week and I only had to drive from Edgewater to Hanover every so often. Traffic in the DMV is the most unpredictable thing in the world. One day it will be perfect, the next it will take three times longer to get home. I’m a massive planner so this kind of discrepancy drives me nuts. Driving in the U.S. is annoying enough, but then there’s driving in foreign countries. I think this additional factor takes my annoyance and amplifies it to a point that can only be described as actual road rage. Sean and I were about four months into our tour in Tajikistan before our car arrived, and I noticed a sharp decline in our happiness once we began driving. It was maddening. Taxis cutting you off at every turn, crazy pedestrians with seemingly no regard for their own life, people driving on sidewalks in reverse in the snow without dusting off their car windows beforehand. For someone like me who is a rule follower, sometimes to a fault, it made me crazy. In Tajikistan, it was very difficult for me to take taxis. There was no Uber/Lyft/Taxify/Whatever at the time, and while gypsy cabs were abundant, hailing one and negotiating price was difficult for me since my Russian skills are so limited (and my Tajik skills were nonexistent). When Sean was with me we took cabs all the time, but on my own? Forget it. In Georgia, it’s a pretty similar driving situation. Things are perhaps a tiny bit more orderly, but the sheer volume of cars makes up for any increased regulation. Driving down the highway is maddening. I’ll have to get a video at some point, but literally, no one ever stays in their lanes. I remember my dad joking that lane markers and traffic lights are “suggestions” and it’s like Georgians heard the joke, thought he was serious, and applied it to real life. And then don’t even get me started on traffic patterns. This is a city largely without left turns, which in theory might be safer, but in practice just makes no sense. Driving to and from one of my favorite grocery stores means I have to start off the in the wrong direction, make a U-turn on the highway, and then repeat the process to get home. 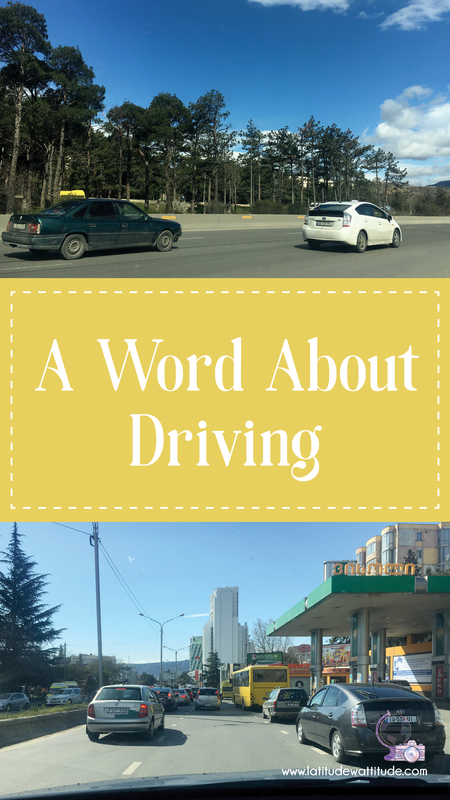 Other expats often hear me say that I don’t drive very much and they tend to think it’s because I’m afraid. That’s not really the case. I’ve never really felt fear behind the wheel of a car – or haven’t since I was 15 and learning to drive – it’s a different issue entirely. Driving here, and in Dushanbe, flat out isn’t good for my health. I actually feel my blood boiling. I get physically hot. My palms sweat. I’m sure my heart and breathing rates increase. I’m often filled with white-hot rage that manifests as me screaming corrections to other drivers (that, of course, they will never hear) and coming home worked up and irritated. Additionally, I know from experience that driving is directly tied to how I feel about living in a particular place. If there’s anything I can do to prolong the honeymoon period with Georgia, I will do it, and for me, avoiding driving is key. Also, there are several taxi apps, my favorite being Taxify (that might now be called Bolt???) which make my life much easier. By and large, the cars are clean, have working seatbelts, and don’t require me to haggle at all since payment is done through the app. With that kind of convenience, why on earth would I drive my car downtown when someone with much more experience navigating Tbilisi and Georgian drivers could do it for me? The only, ONLY exception to my hatred of driving here is when it comes time to grocery shop. That’s the one time I’ll admit having a car is better than not having one. After weeks of walking to the store, or having to cram my large resuable bags into the backseat of a taxi, I’ll be that annoying Amerian who drives up the street for groceries twice a week. And yes, I’m aware that I’m a walking, talking contradiction. Not that this is news to anyone.